The question is, “Do you have a drill for your quarterback as far as scrambling for receivers?” et me tell you what we do. That’s a good question right there, and if you throw a lot, it is very worth doing, practicing. Did you want to know if we have a scramble drill to teach him how to scramble? No we don’t because we don’t want our quarterbacks scrambling. 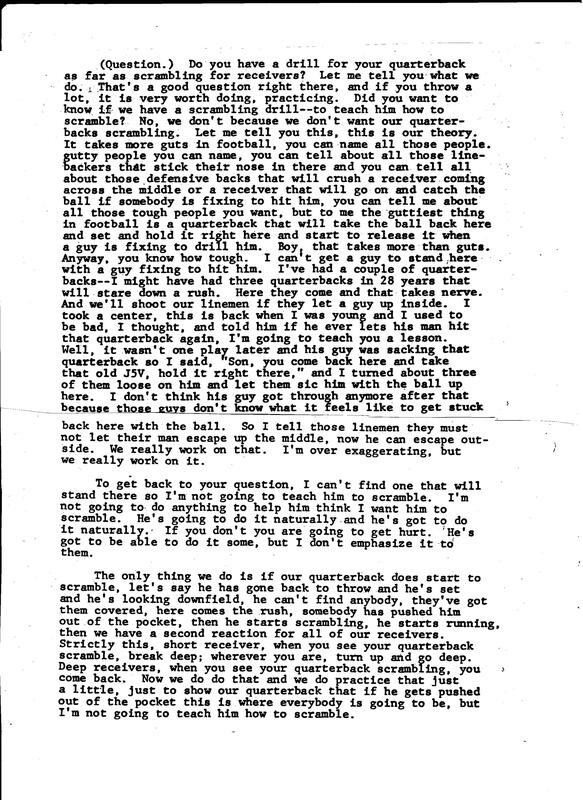 Let me tell you this…the guttiest thing in football is a quarterback who will take the ball back here and set and hold it right here and start to release it when a guy is fixing to drill him. It’s hard to argue with the philosophy of Gillman, Spurrier, or Bowden. On the other hand, it does happen, and it pays to have a plan when it does happen. This can be handled in teaching different escapes points in the protection, as well as drilling it within different d[passing concepts after simulating a breakdown in either the routes or the protection. 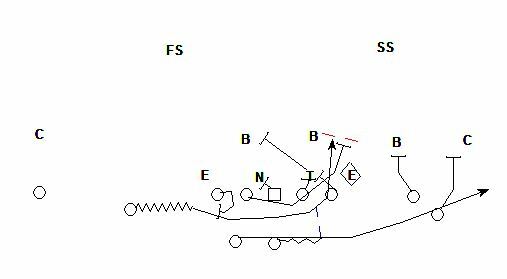 For more on how to do this and the drills, see Get more out of your 7-on-7 drills. The Ohio State Buckeyes are a prime example of why we must prepare all of the players on our depth chart. The Buckeyes won a Big Ten Championship game, the semis-final play off game, and the National Championship with their third team quarterback. They obviously did a great job coaching and preparing all of their players. Most likely though, only a small percentage of high school teams went through this past season having given their second quarterback meaningful work. Part of our problem is in our mentality as coaches. We grow to trust and rely on our starter to the point that our second team quarterback becomes a clip board holder or play signaler. 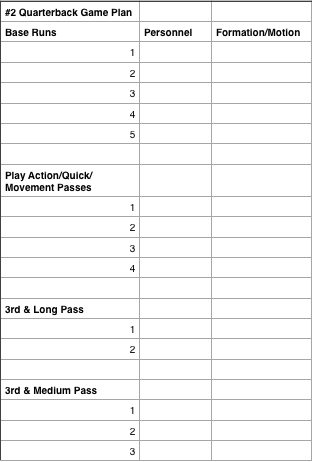 Those are important roles, but it is prudent to have that player prepared for live game situations. Even though it is mid-season, there are steps that can be taken now to prepare the second team quarterback for the future…read more. Over the past four years, we have used some form of our power scheme with the quarterback as a runner. This has served as a play for us both with our starter in the game as well as part of a wildcat package. Our initial use of it started as part of wildcat package when our starter’s style and skill set was more of a pro style drop back quarterback. 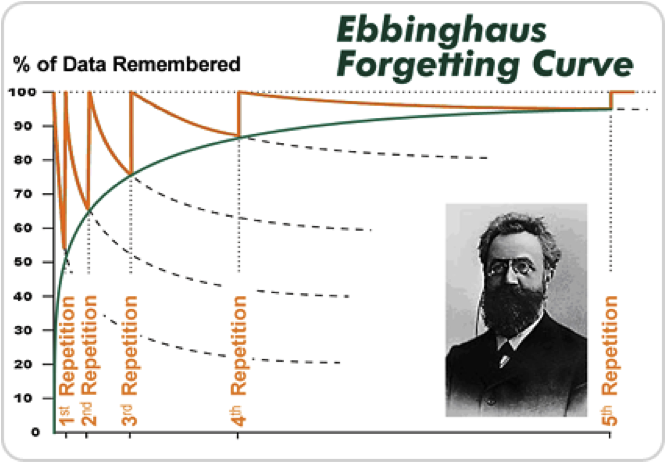 While he was a capable as a runner, we saw his primary function as that of a distributer. His job was to get the ball out quickly, and when it was a run to be selling and setting up play action. 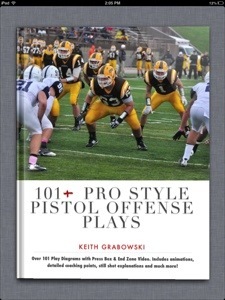 Learn more about our offense in my iBook for the iPad & Mac 101+ Pro Style Pistol Offense Plays available here on the iBookstore. 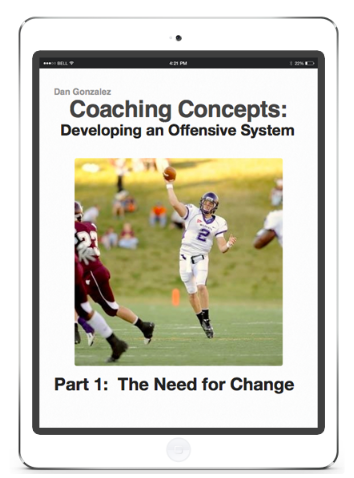 It contains over 229 pieces of dynamic content including diagrams and over 30 minutes of game film. The ideas shared can apply to any offense. 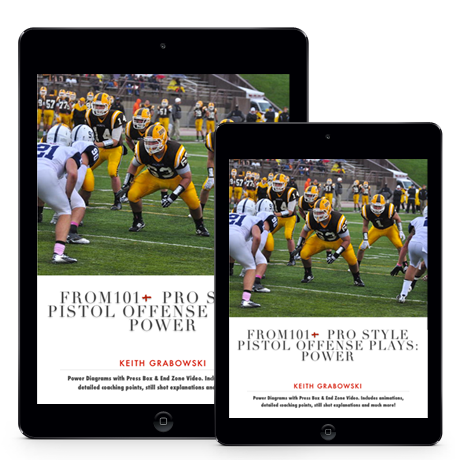 My former quarterback who is leaving to play his 5th season in Europe contacted me about the power read and asked if it would be possible to do it without running the quarterback by pitching to a receiver coming underneath the backside pulling guard. 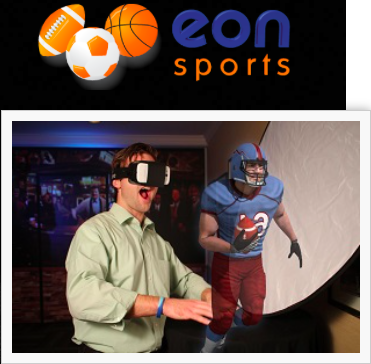 He will serve as the quarterback and offensive coordinator for a team in Switzerland. When he played for us we ran a little of the shovel option with power blocking, as well as a ton of zone read. Because he is recovering from achilles surgery, he is trying to do less running this season. If you are not familiar with the shovel option, it can be viewed below. Looking at the play and seeing what we did in the few practice reps we gave it, the quarterback could really stretch the mesh on the defensive end, because he doesn’t have to run up inside. It is somewhat safe as well because if there is any danger, he can shovel it into the ground. The theory seems sound on this on play, but I have never run it in a game. If you have tried this and have video, let me know.